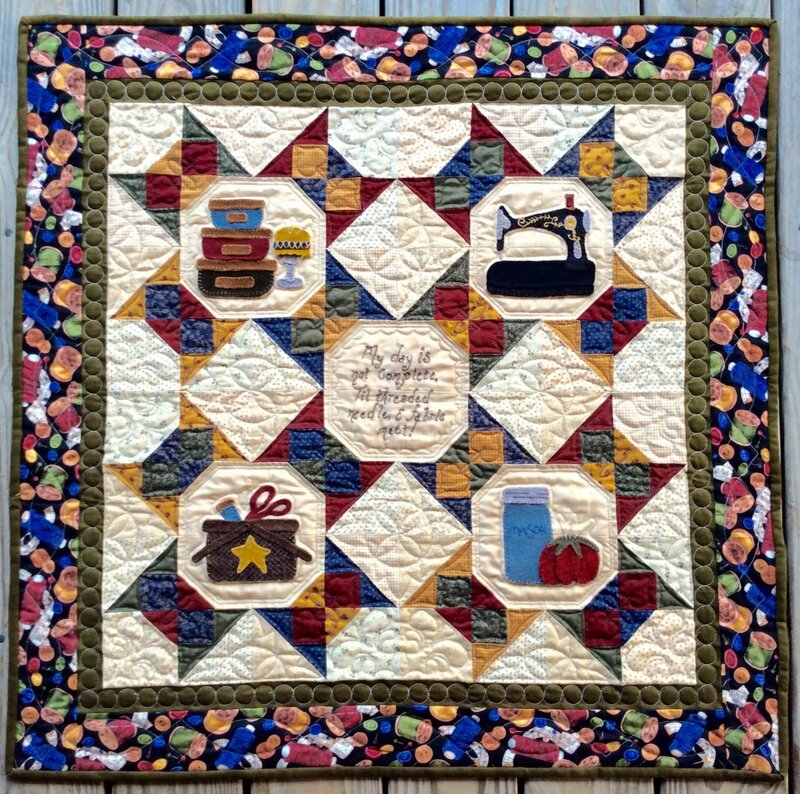 "A Notion To Quilt" is Vicki's first pattern published in a national/international magazine! It is a fun wall hanging with wool applique and a hand embroidered saying in the middle. 31" x 31". AQS members get the American Quilter magazine with membership. The pattern is in the magazine so those who have it may want to order kit only. 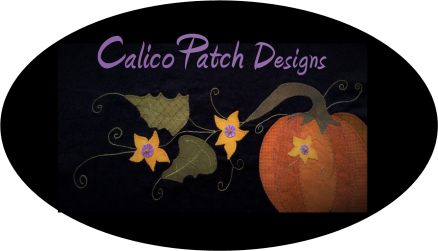 Otherwise, order the "Kit with Pattern" option to receive pattern with the kit. We are thankful to AQS and hope you enjoy being part of this honor! Kit includes wool for appliques and cotton for background, borders binding & sashing, also includes button and bead embellishments. Sorry magazines no longer available.